Areas of Specialty: Dr. Maze specializes in anesthesiology and perioperative care. Since 1972 he has held medical appointments internationally, achieving board certification in the United Kingdom and the United States. Dr. Maze has authored over 200 scientific articles, edited three medical textbooks, and contributed to numerous chapters in medically-related publications. His extensive research experience regarding the mechanisms and uses of anesthetic agents have permitted 15 registered patents throughout four nations, including the United States, Mexico, Germany and New Zealand. 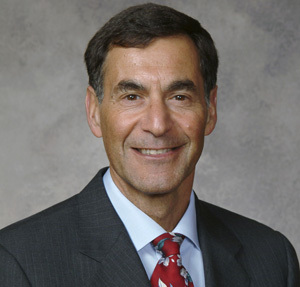 Prior to joining the UCSF faculty as Chair of the Department of Anesthesia and Perioperative Care, Dr. Maze served as Deputy Head of the Division of Surgery, Oncology, Reproductive Biology and Anesthetics at the Imperial College, London. Dr. Maze brings a great depth of knowledge and expertise to the SmartTots Scientific Advisory Board. Pandharipande PP, Sanders RD, Girard TD, McGrane S, Thompson JL, Shintani AK, Herr DL, Maze M, Ely EW. Effect of dexmedetomidine versus lorazepam on outcome in patients with sepsis: an a priori-designed analysis of the MENDS randomized controlled trial. Critical Care 2010;14(2):R38. Terrando N, Fidalgo AR, Vizcaychipi MP, Cibelli M, Ma D, Monaco C. The impact of IL-1 modulation on the development of LPS-induced cognitive dysfunction.Critical Care 2010;14(3):R88. Cibelli M, Fidalgo AR, Terrando N, Ma D, Monaco C, Feldmann M, Takata M, Nanchahal J, Fanselow M, Maze M. Role of interleukin-1beta in postoperative cognitive dysfunction. Ann Neurol 2010;68(3):360-8. Sanders RD, Xu J, Shu Y, Januszewski A, Halder S, Fidalgo A, Sun P, Hossain M, Ma D, Maze M. Dexmedetomidine attenuates isoflurane-induced neurocognitive impairment in neonatal rats. Anesthesiology 2009;110:1077-85. Jawad N, Rizvi M, Gu J, Adeyi O, Tao G, Maze M, Ma D. Neuroprotection (and lack of neuroprotection) afforded by a series of noble gases in an in vitro model of neuronal injury. Neurosci Lett 2009;460:232-6. Sanders RD, Ma D, Brooks P, Maze M. Balancing paediatric anaesthesia: preclinical insights into analgesia, hypnosis, neuroprotection, and neurotoxicity. Br J Anaesth 2008;101:597-609. Sanders RD, Xu J, Shu Y, Fidalgo A, Ma D, Maze M. General anesthetics induce apoptotic neurodegeneration in the neonatal rat spinal cord. Anesth Analg 2008;106:1708-11. Coburn M, Maze M, Franks NP. The neuroprotective effects of xenon and helium in an invitro model of traumatic brain injury. Crit Care Med 2008;36:588-95. Maze M, Cibelli M, Grocott HP. Taking the lead in research into postoperative cognitive dysfunction. Anesthesiology 2008;108(1):1-2. Newman S, Sytgall J, Hirani S, Shaefi S, Maze M. Postoperative cognitive dysfunction after noncardiac surgery: a systematic review. Anesthesiology 2007;106(3):572-90.